Knox College in the University of Toronto is one of the prettiest downtown churches for a wedding ceremony. 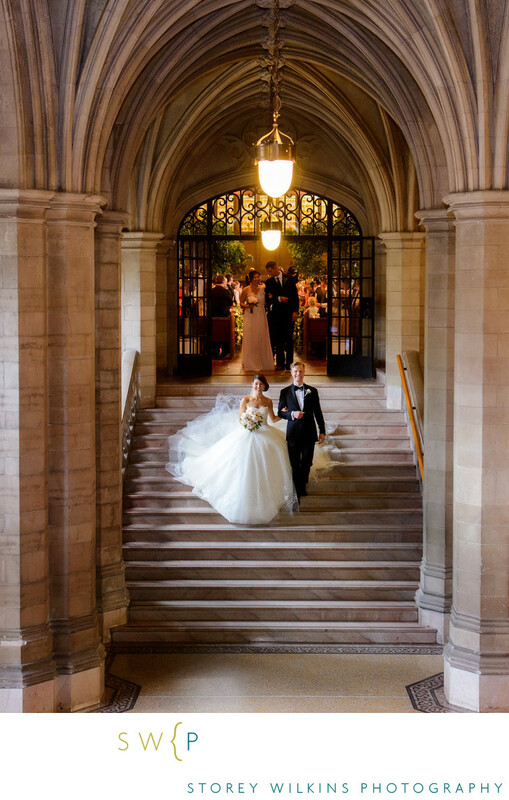 The grand staircase leading up to the sanctuary is so picturesque here as the bride and groom leave the ceremony as newlyweds. Location: Knox College 59 St George St, Toronto, ON M5S 2E6.